I-74 W to R SR 1, L SR 46, R Short Ln. Need space to store your stuff or a hobby shop?Convenient location close to schools and inter-state. Pole barn is 30' X 48' has water,concrete floor and wired for lighting. 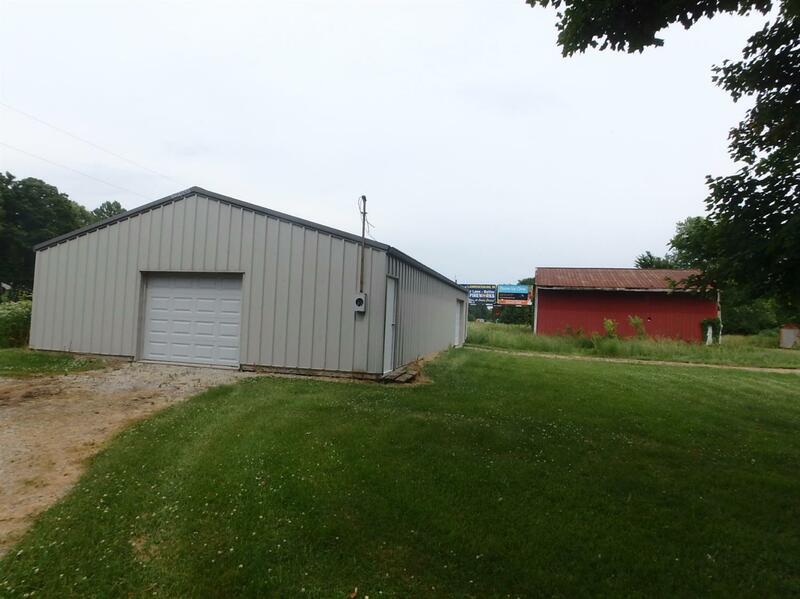 Steal barn offers extra storage options. Billboard contract earns $1,500 income per year. City sewer and grinder on property with concrete pad ready for a home/structure. NOTE: This property was sold on 8/16/2017 and is no longer available. The details listed below are believed accurate to the date of the sale and are subject to change. This listing courtesy of Dan Day (513) 226-5588, RE/MAX Preferred Group 513-574-0600.